Every few weeks I convince myself that it’s time to put my big girl pants on and cook myself some actual meals. I make a pretty mean turkey burger, and have thrown some grade-A dinner parties, if I do say so myself…and I do. But I am a creature of habit, and unless I’m dining out, I am happy to eat the same five things every week, as long as one of those things involves peanut butter and another involves chocolate. So I’m not really sure why I bought a massive tub of ricotta cheese. I think I was intending to whip up a pasta dish of some variety, but I live alone and therefore cook for a party of one, and this particular eater is not a huge fan of the ricotta in the pasta. I’m pretty sure it was on sale and I am aspiring to be on Extreme Couponing. Man those ladies are clever. So, the ricotta was due to meet its maker soon. Wait…that doesn’t really apply I guess, because the ricotta was going to expire and hit the trash can, not meet the cow from whence it came. Whatever…I just needed to use it because I hate wasting things. While browsing through some cookbooks on my shelf, I found a recipe for Lemon Ricotta Muffins in a copy of Good Housekeeping Great Baking: 600 Recipes for Cakes, Cookies, Breads, Pies and Pastries. 600! You will totally be seeing more recipes from this book. Anyway, I happened to have every ingredient needed at my disposal, and, if you’re a fan of ricotta (or cottage, which works as a nice sub), you probably do too. I also tweaked this recipe just a bit, because I am stubborn/cool like that. Here’s the original recipe, with my humble suggestions in parentheses. You’ll end up with a dozen delicious muffins. Preheat your oven to 400°F and grease your muffin tin. That is not a euphemism. Really, grease the tin. In a large bowl, sift together the flour, baking powder, sugar and salt. In a separate bowl, mix together ricotta, milk, melted butter, eggs and lemon peel. Now, I know the recipe says to use two teaspoons of the zest, but as I have mentioned before, I am messy and have no idea how to measure this out properly without wasting zest. I went a little bit nuts and probably added more, which turned out to be a really great thing. I say zest at your leisure. 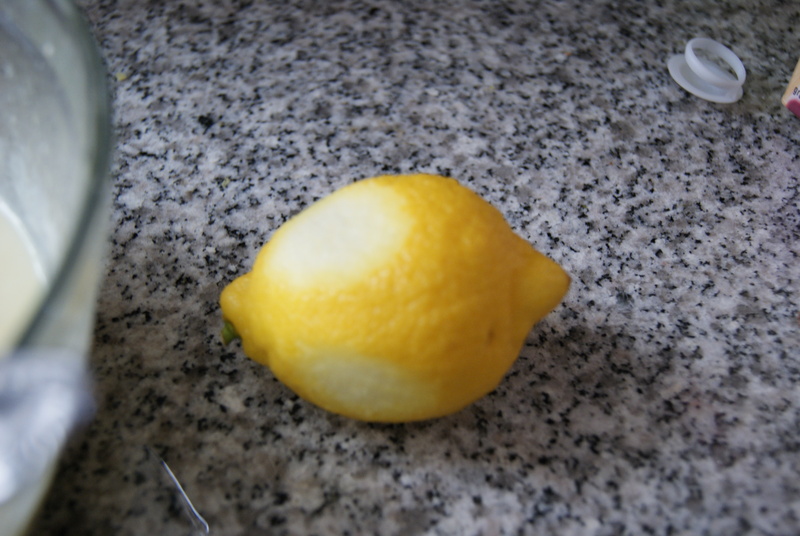 My lemon ended up with a couple of bald spots. Mid-zesting. It has a fade! I probably zested about half of this one. Now, make a well in the middle of your dry mixture, and pour in your ricotta mix. It’s not going to be a pretty, perfect well, so don’t fret. 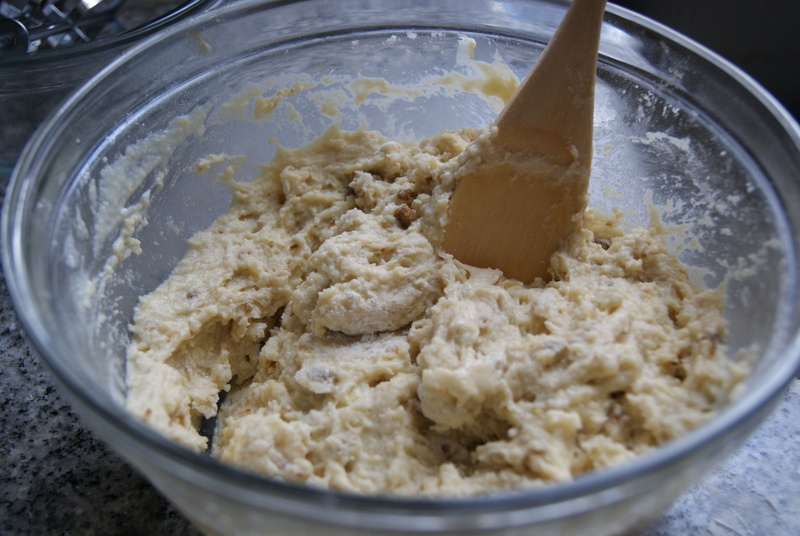 Stir the mixtures together just until all of the flour has been moistened. You should end up with something that looks a little lumpy and smells very lemon-y. Yum. My lovely lemon lumps. Inappropriate! Please don't flag this post. Divide the mixture evenly among the cups of your muffin tin. 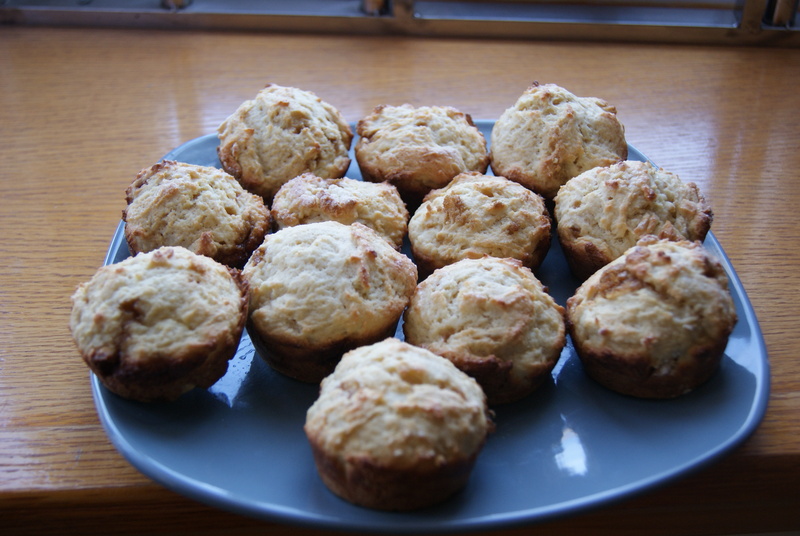 Sprinkle your remaining 2 tablespoons of sugar (I used brown) over the cups and bake for 20 to 22 minutes, until a toothpick inserted in the center comes out clean and the muffins are golden brown. Remove them from the pan as soon as you’re able to without inflicting third-degree burns on yourself. I mean, these are good, but nothing’s worth a trip to the burn unit. Really though, these should be served warm. If you’re not going to eat them right away, microwave them before serving. Also, you can freeze them for your inevitable and eventual muffin craving. Your (well, my, unless you feel like coming over) finished product. In my humble opinion, these were outstanding, and pretty filling. To make them even more filling and up the fiber content, you could replace half of the all-purpose flour with whole-wheat flour. See, I care about your health! You’re welcome.